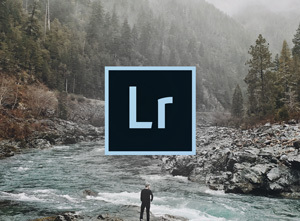 Choosing a laptop for Adobe Lightroom is not particularly hard – having a high-end graphics card is not necessary, laptops with larger and faster hard drives and memory are now commonplace. But it gets problematic when you have to take into consideration screen and upgrade potential. Surely no sane man would go through all new, well-received and best selling laptops to find out what is the best one for Lightroom. But you’d be making a mistake if you call me sane. So I compiled a list of 244 laptops (most of them are outdated, but they are always down in the list when comparing metrics). Then I compared them to their performance (using real benchmarks), storage, screen quality and weight. I have weighed all of these metrics according to what’s important to Lightroom – so you know these laptops are the best for their purpose. In this post I’ll cover 8 best laptops for Lightroom and what’s so great AND what’s not so perfect about them. Also, I will make sure that anything above budget options will also be a viable option for other software you might end up using (khm khm.. Photoshop). This time, unlike any other, I’ll start off with the laptops and then I’ll write about how did I end up choosing them. Finally, at the bottom of the article, I’ll give you the link to the spreadsheet covering all the quantified comparisons of these 240 laptops ranging from $370 to $3700!